The ceasefire violation which started on Monday continued until morning today. Rifleman Karamjeet Singh lost his life in the ceasefire violation by Pakistan in Keri Battal of Sunderbani sector along the Line of Control in Rajouri, on Monday. Akhnoor: Ceasefire violation by Pakistan in the Akhnoor sector of Jammu and Kashmir (J&K) continued throughout the night till early Tuesday morning. Pakistan violated ceasefire in the Sunderbani sector also by resorting to shelling with mortars and firing of small arms. The Indian Army retaliated consistently. A rifleman lost his life in the ceasefire violation by Pakistan in Keri Battal of Sunderbani sector along the Line of Control in Rajouri on Monday. Rifleman Karamjeet Singh was martyred in the firing. Last week, the cross-LoC trade was suspended after Pakistan Army violated the ceasefire by resorting to unprovoked mortar shelling in Poonch district. At least five mortar shells hit the trade facilitation centre at Chakan-da-Bagh. There were no casualties but the shelling caused panic among those present at the centre. However, the main building remained safe. The cross-LoC trade was suspended after the shelling. 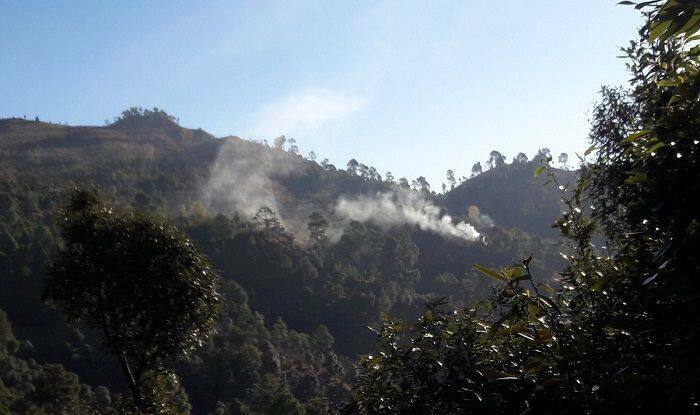 Officials said the shelling had started in Krishna Ghati sector and later spread to Poonch sector. Four civilians, including three members of a family, have been killed and several others injured in over 60 incidents of ceasefire violations by Pakistan along the LoC in Rajouri and Poonch districts. There has been an increase in ceasefire violations by Pakistan after Indian Air Force (IAF) carried out ‘pre-emptive airstrike’ on Jaish-e-Mohammad (JeM) terror camps in Balakot, and in Pakistan-occupied Kashmir (PoK) on February 26. The airstrike was in retaliation to the February 14 Pulwama terror attack, which claimed the lives of 40 Central Reserve Police Force (CRPF) personnel. Post the airstrike on JeM’s terror camps in Balakot, the Pakistan Army had used heavy weaponry, firing 120 mm mortars and targeted some 55 civilian hamlets and forward posts in Krishna Gati, Balakote, Khari Karmara, Mankote, Tarkundi in Poonch district, Kalal, Baba Khori, Kalsian, Laam and Jhangar areas in Rajouri and Pallanwala and Laleali in Jammu.